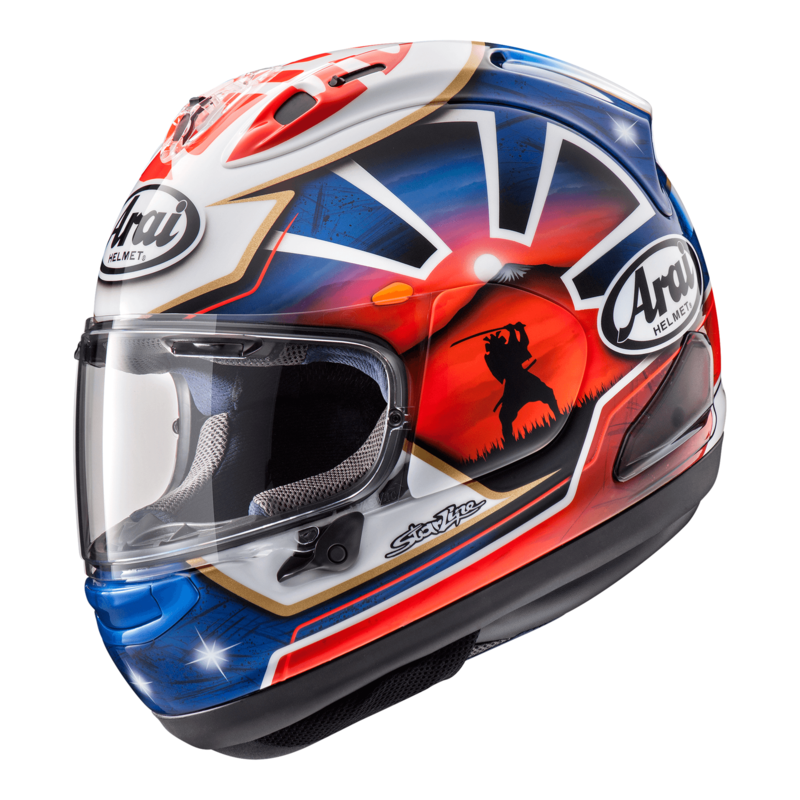 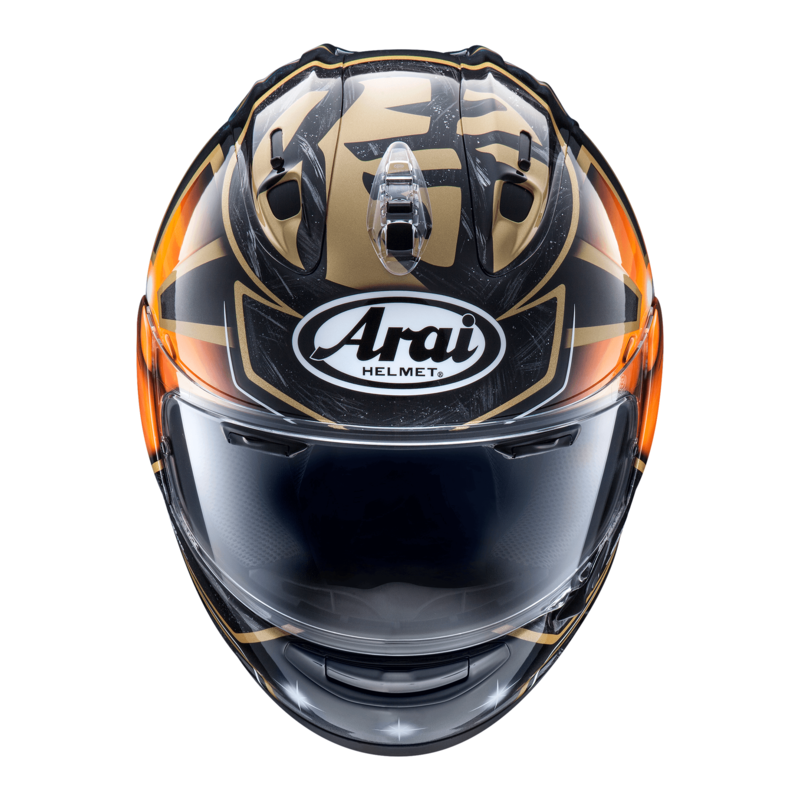 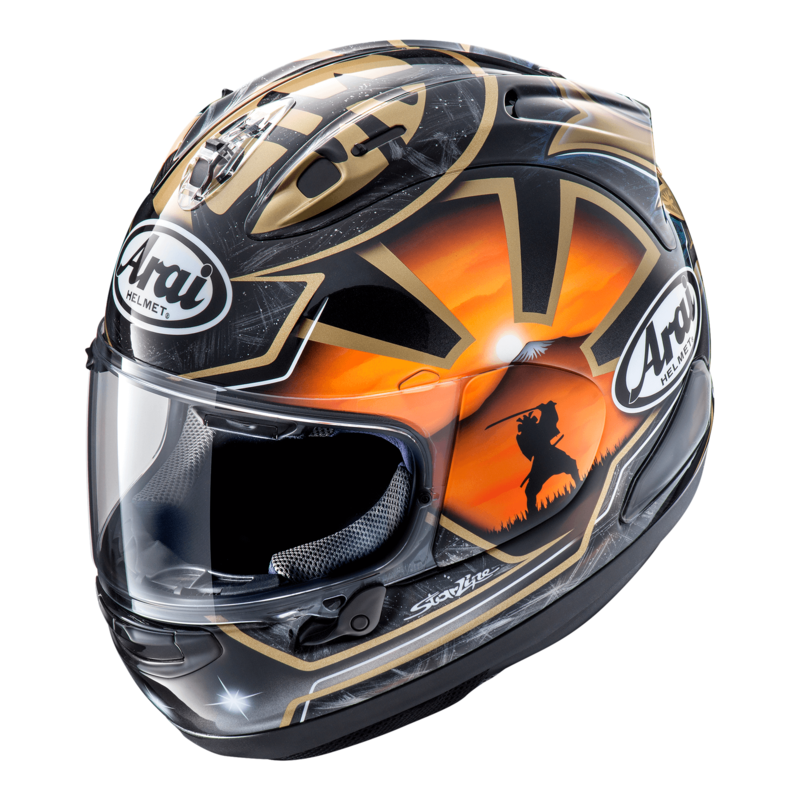 The new RX-7V model helmet really shows off Arai's experience and knowledge when it comes to making helmets. 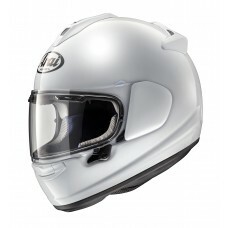 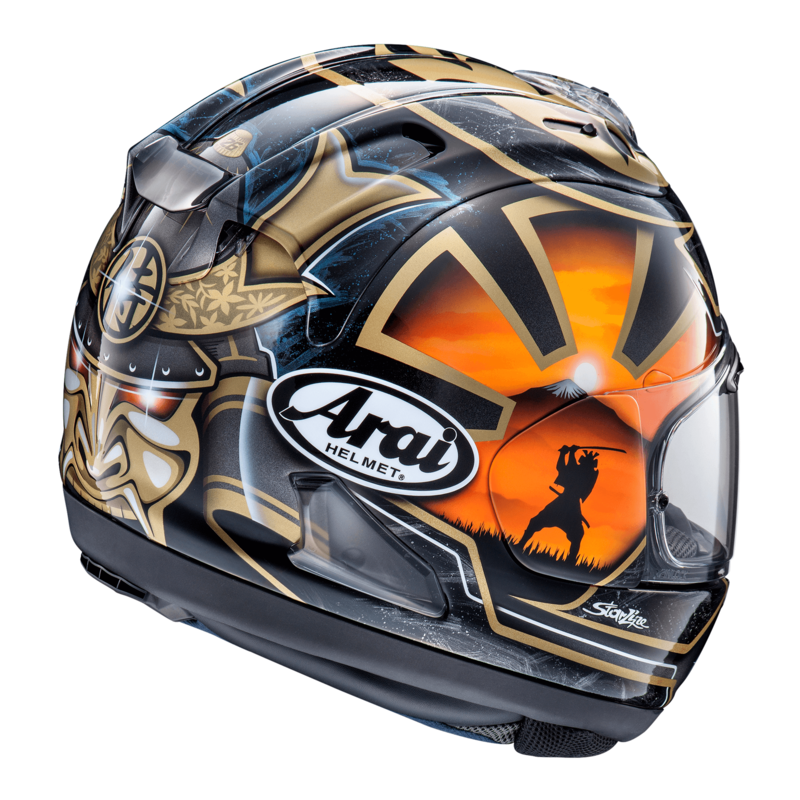 It has really raised the bar in premium motorcycle helmets. 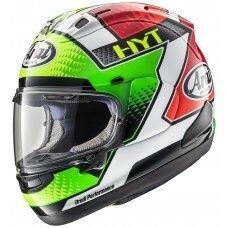 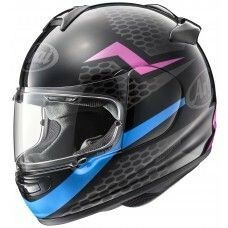 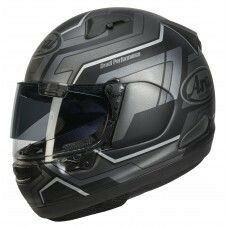 With a new shell and Visor mechinism called VAS (Variable Axis System) plus improved diffusers and air vents along with a new eco pure liner this really tops all full face helmets ever made! 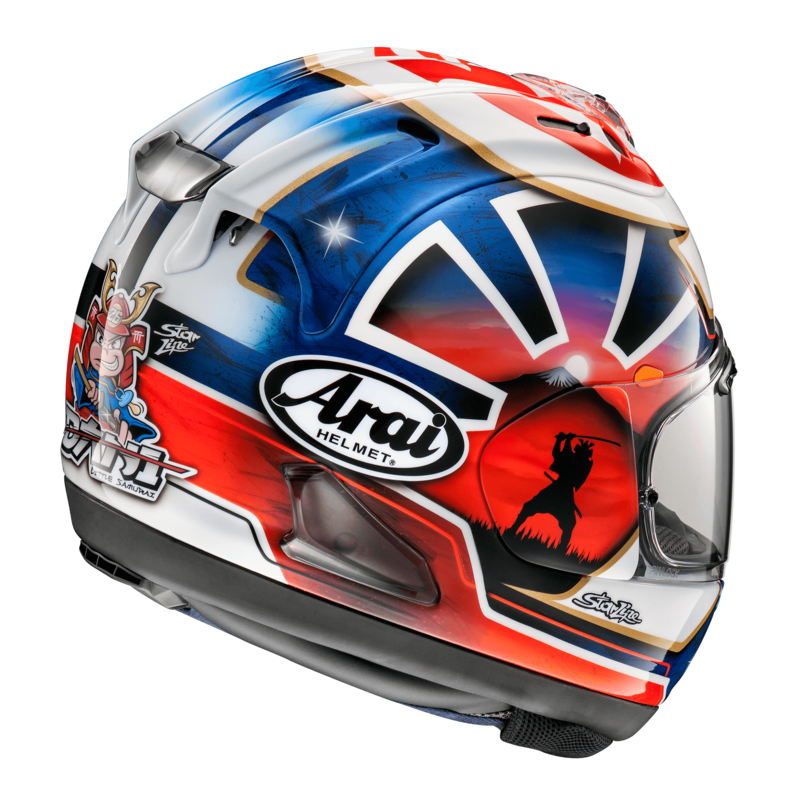 A newly added Pedrosa Spirit model has been introduced to the range in 2 standout colourways.